Maharashtra Common Entrance Test (MAH CET 2019) is a state level entrance exam to get admission in the PG management courses. 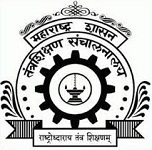 The exam is conducted by the Directorate of Technical Education, Maharashtra. It is a gateway to get admission in MBA/MMS courses in the state universities and institutions. In this article candidates can get the complete information related to MAH MBA CET 2019. The tentative exam schedule for MAH CET 2019 is given below. Candidates can follow the schedule as per the given dates. Here, we have given the application form guidelines to apply online. Application form can be filled and submitted through online mode. No other mode will be accepted. Online application form will be started from the third week of January 2019. The MAH CET application form 2019 will be accepted till the second week of February 2019. Candidates have to upload the scanned images of photograph and signature. All details will be furnished carefully and authentic. The given below application fee can be paid through online payment system only. Here, candidates can check the eligibility criteria for MAH MBA/MMS CET 2019. Minimum Marks: Must pass with at least 50% marks in aggregate (45% in case of candidates of backward class categories and Persons with Disability belonging to Maharashtra State only). Duration: 150 minutes will be allotted for the complete exam. The syllabus of the entrance test will be based on the graduation level. The exam conducting authority will provide the complete syllabus on the DTE, Maharashtra website. The syllabus will be comprised of the topics from the subjects such as Logical/Abstract Reasoning, Quantitative Aptitude, Verbal Ability and Reading Comprehension. Candidates can download their admit card through candidate’s login. The intimation for downloading the MAH CET admit card will also be sent through email/SMS. The admit card will be released in the fourth week of February 2019. To access the hall ticket, candidates have to enter the registration number/roll number or password/date of birth. Candidate needs to affix recent recognizable photograph on the downloaded admit card same as provided during the registration. MAH CET result can be viewed through online mode. The authority will declared the written result in the second week of March 2019. The authority will also release the merit list on the basis of written result. The MAH CET merit list will be comprised of the ranks of the candidates allotted to them on the basis of performance in the entrance test. After the declaration of result, candidates have to fill the admission form to register for the counselling. The Centralized Admission Process (CAP) will be conducted by the DTE, Maharashtra for allotting the seats to the candidates. Candidates are advised to keep the necessary original documents ready for verification at the time of document verification during centralized counselling. Candidates can fill their choices for colleges/institutions according to their ranks in the choice filling process. If you have any other queries about MAH CET 2019, you can write your queries in the comment box given below.